Blown Up from Within by Explosive Devices... Two Bombs found UNDETONATED! Documented PROOF there were additional explosive charges! 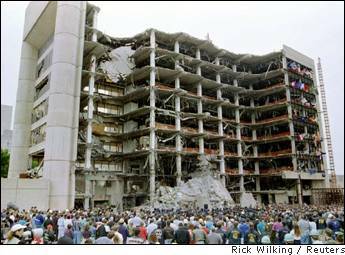 According to his death certificate, Timothy McVeigh died a soldier. CHANDRA LEVY: UNRAVELING GOVERNMENT COVER-UPS? 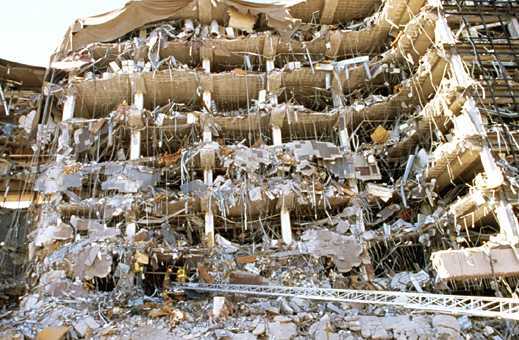 The 168 Lives Lost on April 19, 1995 | Was FBI early arrival in OKC? Unresolved Deaths in OKC | WHO KILLED TERRY YEAKEY? "John Doe #2 Identified: But Can We Get The FBI To Arrest Him?" OKC Trial TranscriptsTerry Nichols | What You Won't Hear In The News!! What Really Happened in Oklahoma 1995? 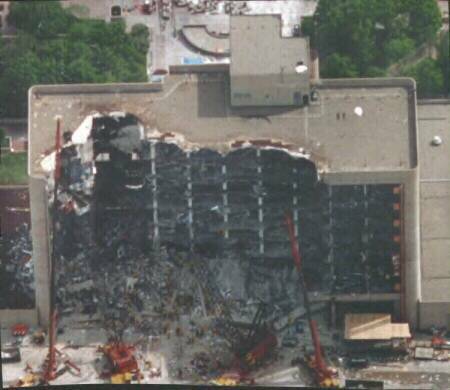 (Alex Jones Real Media video exposing 911 cover-up, but also contains a lot of info about the Oklahoma City bombing later in the film. This is an excellent made video that I hope you will watch. Click HERE to watch the video NOW). Proof of Bombs and Cover-up!